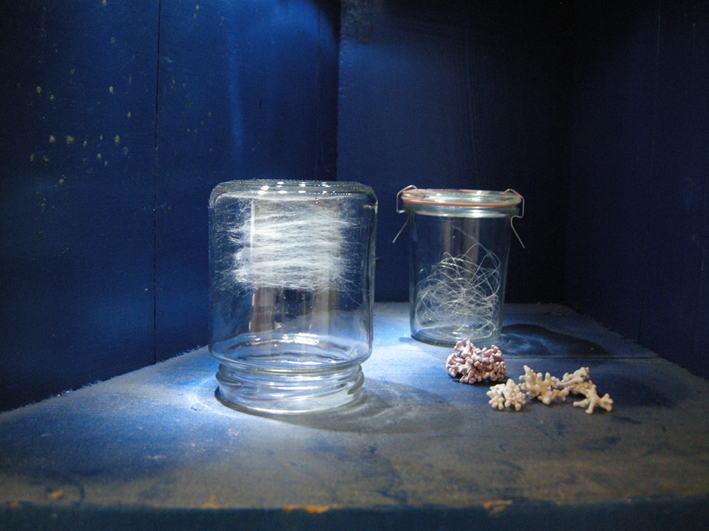 “infinite sonorous silence, spiderweb in jam glass, 2016; “object nr. 1: My first grey hairs” from “The Memory Archive”, 2008/2009; pieces of coral. Saturday, November 12th, from 10 am- 2 pm. The artist is present. The artist is also present on Thursday, November 10th, from 5-7 p.m.